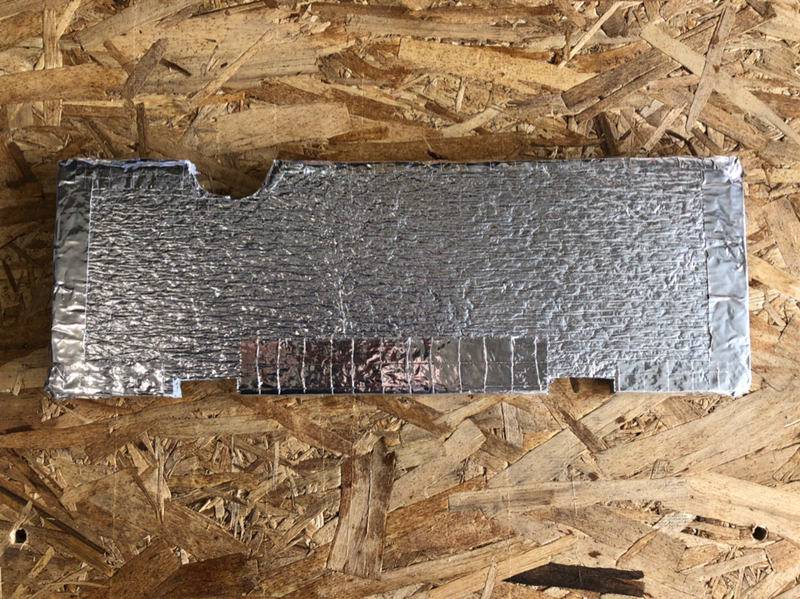 What foil insulation are you using? Where did you get it? I used a product from Homedepot, Frost King 1/8" foil and foam duct insulation. It also works well as a sound deadner for vehicle cabs. Nice mods. I just purchased an ARB 63 fridge - it's still in the box, but I'm wondering if ARB has incorporated any of these improvements (particularly the air-block and the under-shelf insulation) in their more current fridges. Yup, many thanks to Stumpalump & everyone else. I am in the process of doing both of ours right now. I am an older guy & am not to i-phone or internet/computer savy, so apologies for no pics, but it is about the same as everyone else's. I used thin alum for the bottom of radiator & the 1/8" foil-self adhesive Frost King from HDepot. They did not even know they carried it. I found it in the heating/cooling section myself. 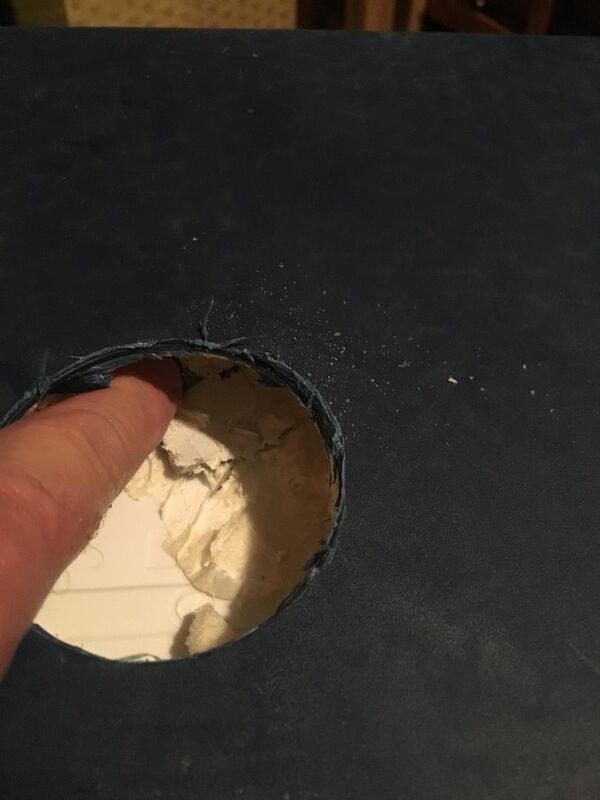 Great set of instructions, this will save me a ton of money, my 50 Qt themistor has failed as well, do you know the distance from the drain plug to the hole you drilled. Its looks to be 3-4 inches, does that sound about right. I have the part on order from Sierra Expeditions. That's about right. If you flip it up so the display side is straight up and the bottom facing you then measure 1" left and 3" down from the center of the drain plug. ARB called for 4" down but that was an inch off on mine and you need all the wire you can get. If yours comes with the templet then error towards a 3" measurments. 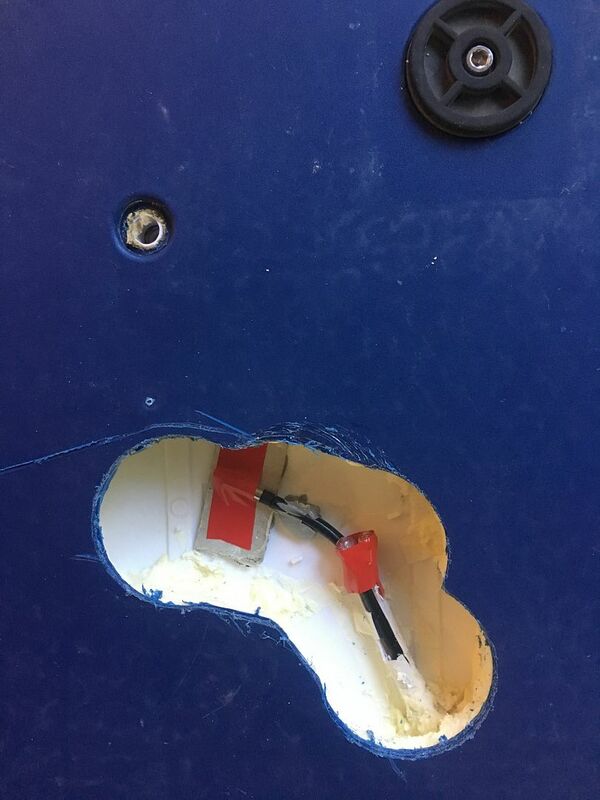 Set the centering bit of the hole saw very shallow and just drill thru the 1/8" plastic bottom with the saw. You could also cut a flap or hole with a razor knife if you don't have a hole saw. Thanks for the clarification, I'll follow your measurements and post my findings. 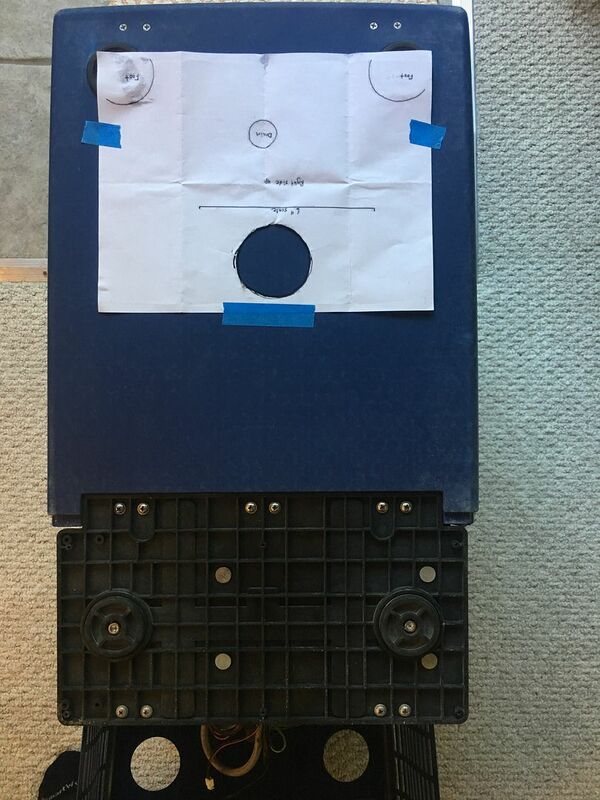 I did speak with ARB, it seems they are reluctant to ship out the parts to repair, but did offer the option to attempt to make the repairs if I shipped it to them on my dime. I'll post my finding when completed, I plan to do the other mods you did as well. Thanks again for posting this fix. I would not say it's so easy of a repair that just anybody can do it. Go slow and don't damage the small wires going to the old thermistor. 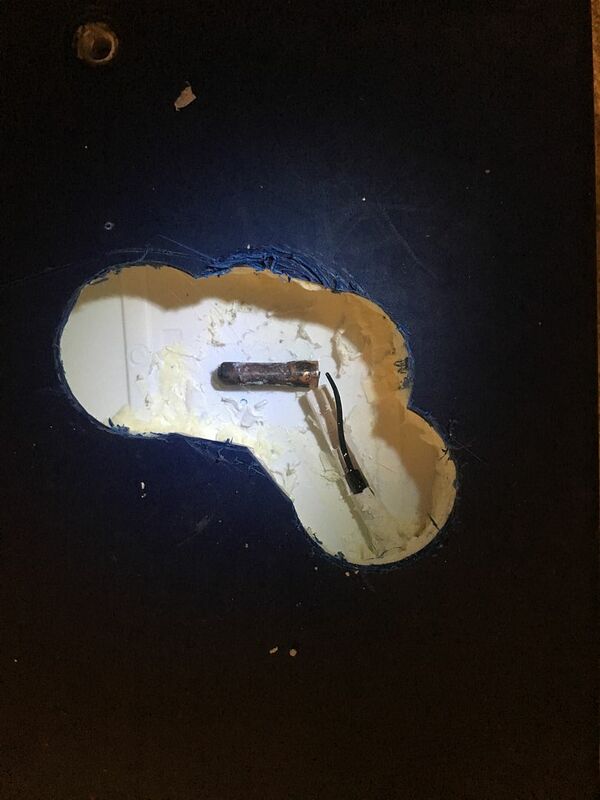 If you need to cut more plastic and dig out foam to gain access to more of the wiring then do it. 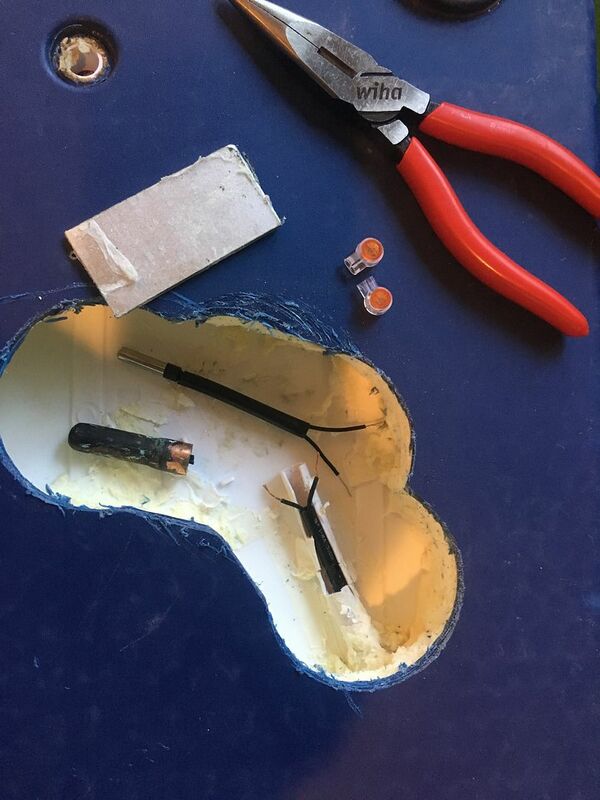 Use your best tools and good lighting to strip the tiny wires. Wire that small will break before it strips sometimes and you don't have much to spare. Use hemostats or small needle nose pliers to work in the hole and you will get it. Mine is still running great and loaded for the weekend! Thank you guys! You motivated me to get something like this done sooner rather than later. 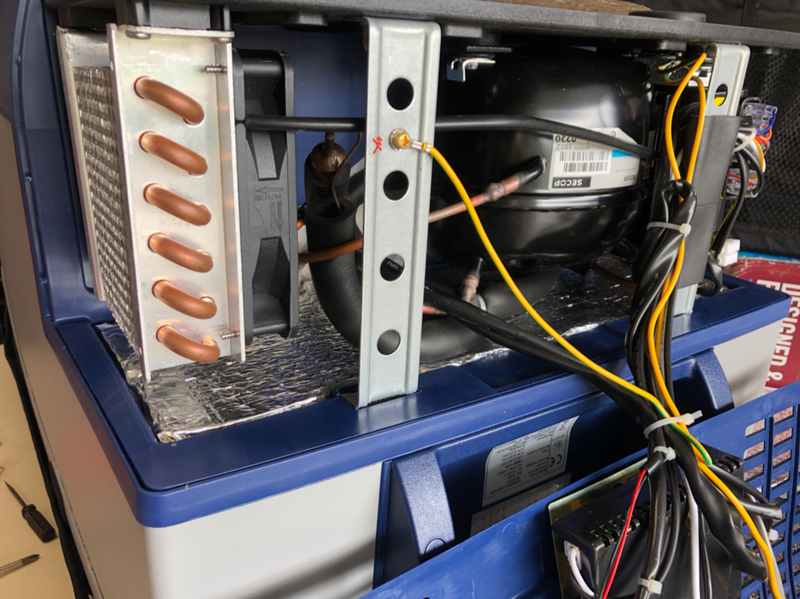 I did the block-off plate and did the insulation the best I could do (ARB bends the copper tubing so that it's hard to get a sheet of insulation in there on newer models). But since I had so much of the foil duct wrap left over, I decided to go above and beyond. I insulated the sides and top too! It all gets covered up by the travel bag anyway, so why not? Joining the 50QT 1st gen Thermistor Club. Mine is on perma-freeze, need to swap it out. Did you find the drilling location to be 1"L, 3"down? or was it the ARB spec. 4"down? So, heres my project undergoing so far. received the repair kit with said thermistor replacement. Very cool. Was rummaging around behind the back panel when i noticed a small 2prong male plug not plugged in. Turns out, after a call to ARB tech, it is the plug to the thermistor. So i plug it back in! Sadly no changes, still on default freeze mode. I think to myself, new thermistor!! Ill just plug it in and test it to see if that is actually my problem. Wrap thermistor in plastic to keep it dry, drop it in a bucket of ice for a few hours, plug it in to fridge so that fridge "thinks" it is cold inside. This should shut the compressor off. It doesn't. Infact interior temp is 14*, and the exterior LED is reading -16*, temp is set to cool to 30*. Anyway, i call tech back and explain test. They say that should be all correct, but only way to really know is to swap it out and seal it back up. Then try it. laid their pattern that ARB tech included with the new thermistor and cover. 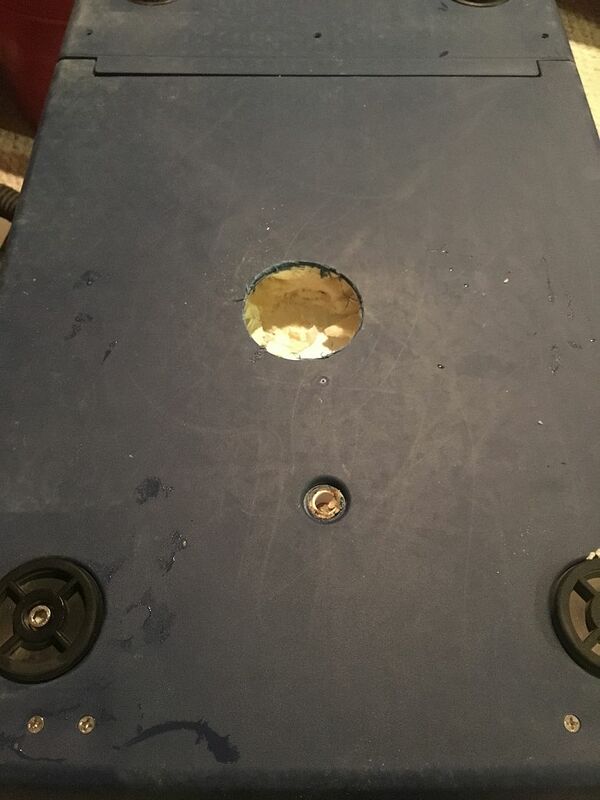 drilled out that hole, easy peazy. so, at this point the small cover included is no longer a factor, nore is the aesthetic appearance of the bottom of my fridge. Luckily i have an insulating jacket that covers all this- if my fridge is actually still working after. heres the abomination I've created in search of the thermistor. at this point i had decided might as well give myself enough room to splice. waiting for my foam to dry so i can test her out. I’ve had this thread bookmarked longer than I’ve owned my ARB fridge. Today I finally got around to adding some insulation below the “warm” shelf. 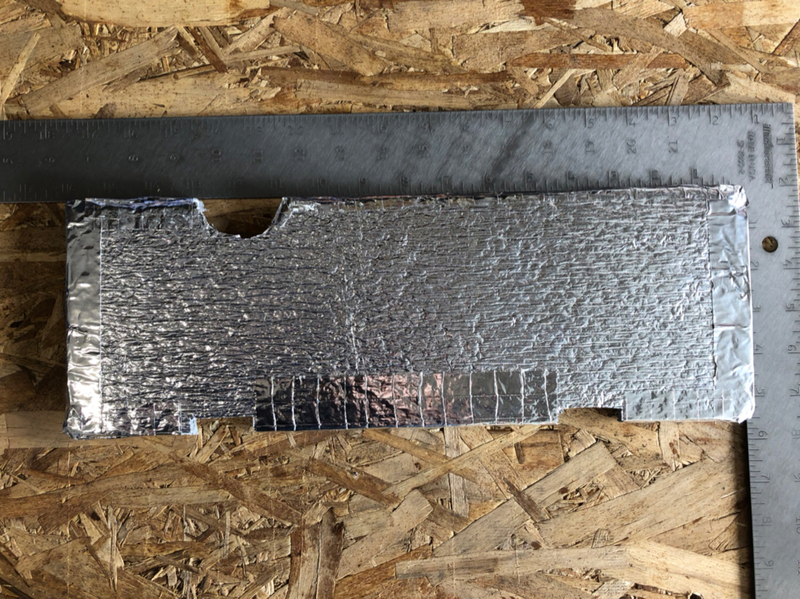 I used two layers of “Low-E” insulation taped together with the foil sides outwards. The lines coming off the compressor do a nice job of holding it in place. I used a smaller piece to make a deflector to force the air from the bottom edge of the fan through the cooling fins (no photos). I didn’t take any temperature readings before or after but this should help reduce the electrical draw of the fridge. Just did that to mine last month. So far so good! Better than springing for a new fridge. In the last pic, am I correct that the fridge is upside down? May not be good to turn upside down. And if you do, it may be wise to let fridge sit for a while before start up so oil settles back down.